For those that are wondering are there any work at home jobs that pay by check? The answer is yes. Even though many prefer to get paid through Paypal, since it's a much faster and quicker way, there are still those that would prefer to get paid the old fashion way by check. This is also a good way for those that would rather have a paper trail of all their earnings. 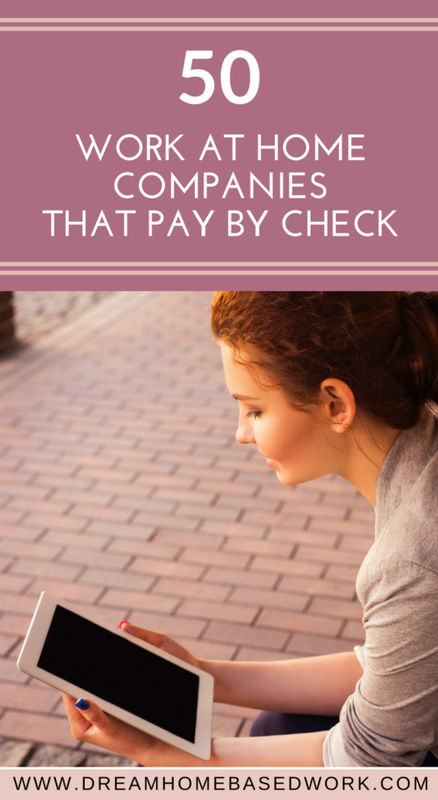 Below you will find a list work at home companies that still pay by check. If there are any I missed, feel free to share those in my comment section below. Intelichek – Telephone mystery shopping job. Westat – Phone Data Collections. Mostly outbound calling. Televated – Telemarketing phone work at home. Pierce Eislen – Phone mystery shopping job. LiveWorld – Moderating work at home. NexRep – Phone work at home involving some sales. Language Line – Language interpretation over the phone. Appen Butler Hill – Web search evaluating jobs. Ver-a-Fast – Phone work calling people with newspaper subscriptions. 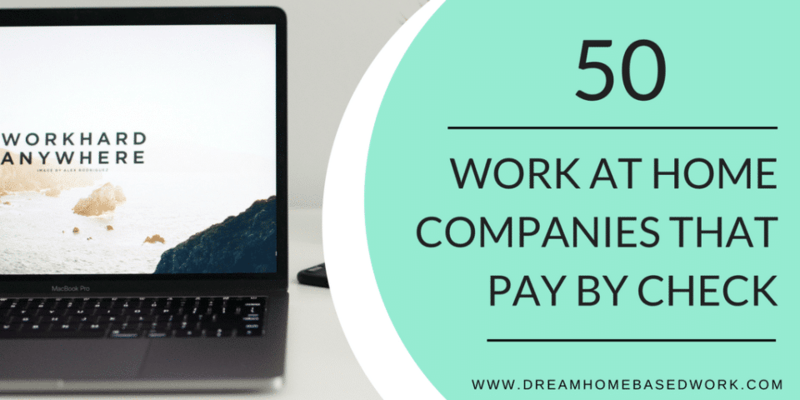 Upwork – Freelance work from home. Some clients pay by check. Guru – Freelance work from home with a variety of different jobs. Ether – Expert phone advice. Working Solutions –Read more– Customer service, data entry, or writing work from home. Click-n-work – Get paid to do data entry, translation, telephone mystery shopping, writing, and much more! Alorica At Home – Customer service phone job. Smart Crowd (Virtual Bee)- Data Entry. ARO – Phone work involving sales. MarketForce – Mystery Shopping work from home. 1-800-Flowers – Customer service phone work. Sedgewick CMS – Telephone work selling insurance claims. Language Line – Over the phone interpretation work. ETS – Get paid to score tests for colleges, schools, or any other educational institution. Tutor.com – Online tutoring openings in economics, accounting, finance, college physics, and more. BrainMass – Online tutoring work from home. English Hunt – ESL Tutoring work from home. SmartThinking – Online tutoring work. 3 Play Media – General transcription work. AccuTran Global – General transcription work. Focus Forward – English & Spanish Transcription work. Dollar Stretcher – Writing work. Panthera Network – Affiliate earning site for bloggers. Cash Crate – Paid survey site where you can earn cash by taking surveys, watching videos, and more. Survey Savvy – Online Survey site where you can also earn from who your refer. Global Test Market – Online surveys for adults and teens. Age 14 and up. Pinecone Research – Product testing and online surveys. Opinion Outpost – Online survey panel. Focus Forward – Online surveys. Humantic – Get paid to review calls. Voices.com – Get paid to record your voice. Zintro – Get paid to answer questions you have expert knowledge in. CLK Transcriptions also pays by check twice a month.